Enter the following information and click "Submit". 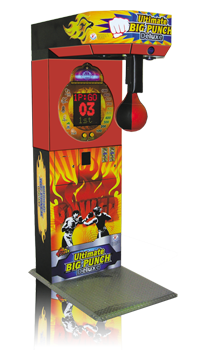 We will forward this information to Distributors in your area who will review it and send you more information or price quotes for this product. If you would like the Distributors to know more about you, please fill out the optional info as well. Zip Code or Country: Enter a valid zip code or country. Phone Number: Please enter a phone number. Please tell us what you like or do not like about this game, how long you've owned it, which locations you have placed it, or any other info you think we or our other customers should know. Enter the following information and click "Submit". 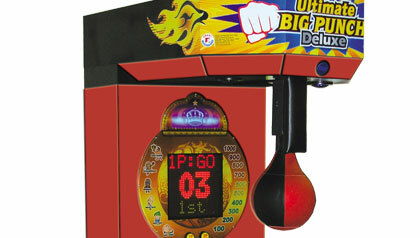 The Ultimate Big PunchTM Deluxe is the hot new punching bag game with the great look customers will be drawn to. 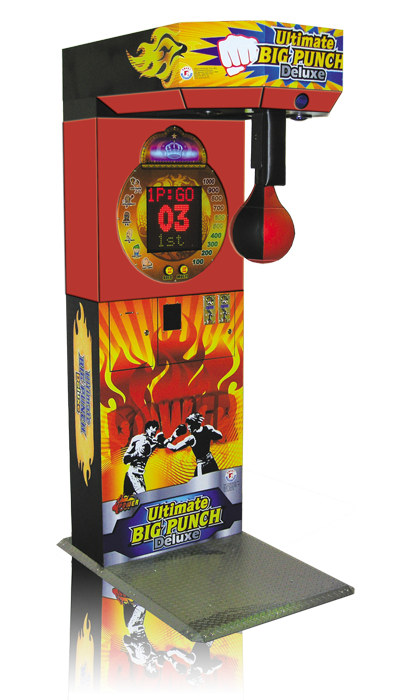 Customers will love the High Score feature, and operators will love the durability of all-metal construction, which is backed up by the Exclusive 1 Year Limited Warranty. 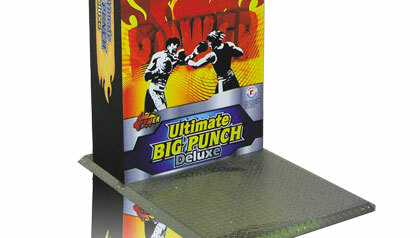 Ultimate Big PunchTM: 31"W x 46"D x 84"H - Weight: 375 lbs. On Back: 37"W x 87"D x 56"H - Weight: 436 lbs. Upright: 40"W x 50"D x 92"H - Weight: 414 lbs. 1901 Bell Ave Suite 12 • Des Moines, IA 50315 U.S.A. 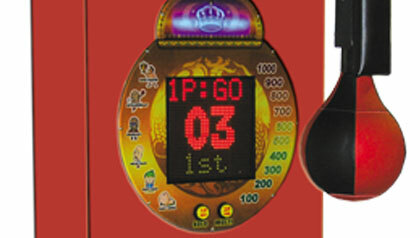 Copyright © Smart Industries Corp., Mfg.